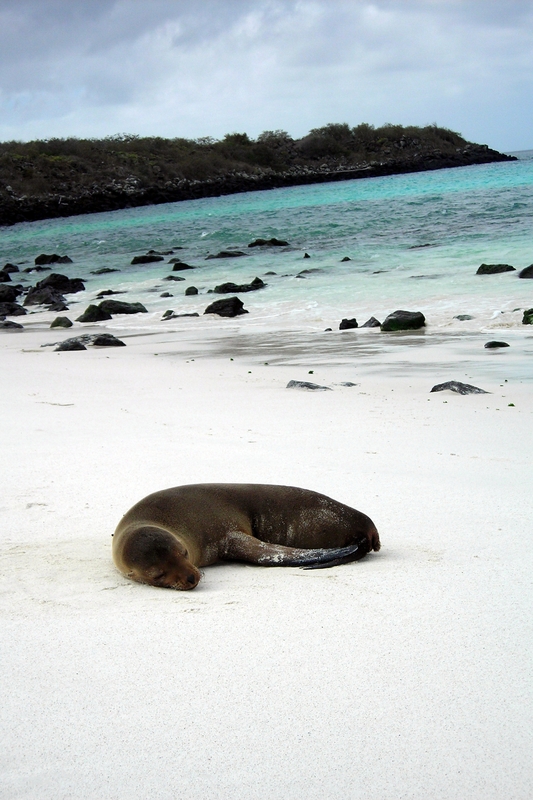 This darling sea lion has plenty of room to nap on this picturesque beach. Sea lions are actually very social creatures; it’s more common to see them in groups than alone like this. Somewhat like their namesakes on land, their colonies consist of a single male that guards the territory from other males, and a harem of a dozen or so females. “Bachelor” males also may form their own colonies together.